Despite a midweek win away to Chievo that was still underwhelming as far as performance, it feels like we have been hit by a bus… and then a train, a tank, and maybe impaled by a rocket. Between the poor morale and the even more poor performances, this is not the game we’d like to play this week. But here we are, facing Bonucci’s ex-club, but without Bonucci. Just please make it stop. Seriously. Just make it stop already. Perhaps you’ve heard of a little club called Juventus. They’re the club with the freaky bad new logo that has nothing to do with their club and looks nothing like a football logo. However, they have won the past six Scudetti straight, and Allegri has them on track to lose the Scudetto this year by just a few points, which he will forever attribute to a non-goal that should have been a goal. Because Allegri. Meanwhile, midweek, they beat SPAL 4-1 (Bless our former Paloschi, who scored the singular goal against them.) For that match, Allegri lined up Szczesny; Barzagli, Rugani, Sandro, Lichtsteiner, Dybala, Khedira, Bentancur, Higuain, Costa, and Bernardeschi. Because he was saving the big guns for us. He will be missing Höwedes to a longterm injury, and also Pjaca and likely Benatia. De Sciglio is available, and it would be just our luck that he would finally have a good performance for Juve against Milan. Please make it stop. "The most important skill of a successful coach is trolling the fans." 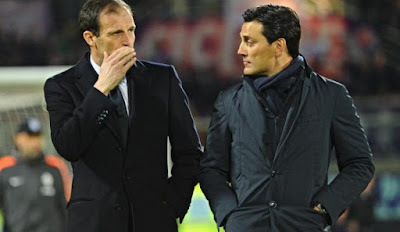 The commonalities Allegri and Montella share are overwhelming. 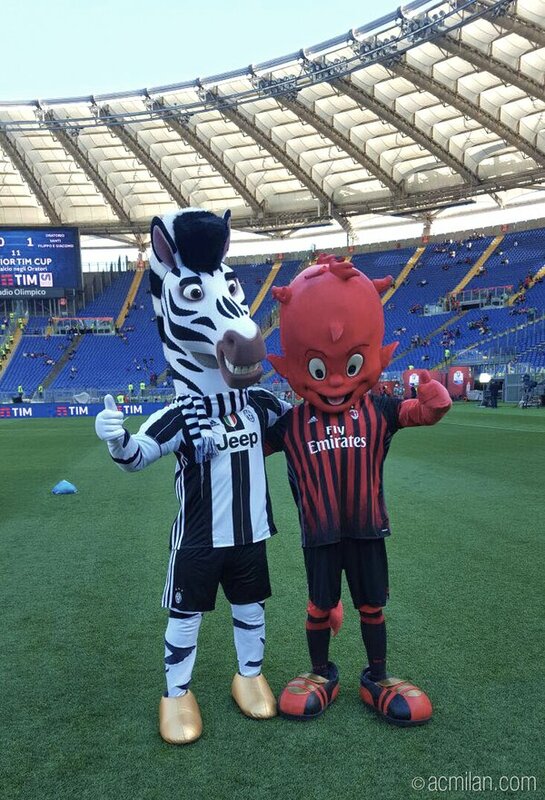 Allegri was recently nominated for FIFA’s Coach of the Year, whereas Montella just won the Tapiro d’Oro this week. While Allegri is still the most delusional coach Milan has seen this decade based on length of delusions alone, Montella is giving him a run for his money. At Milan, they shared an innate inability to see what is actually happening on the pitch, an allergy to subbing before the 90th minute, and an uncanny ability to lineup players in anything but their natural positions. I’m calling Borini in goal on Saturday. You heard it here first. Bonucci is the smartest person at Milan, he got himself suspended for this match. Conti, of course, is recovering from surgery, and Bonaventura is doubtful. Also doubtful is Calabria, since his injury was a head injury, it’s unlikely they’ll take any chances with him. A final doubt is that Montella will lineup his best available eleven, or that he’ll play everyone in their natural positions, let alone lose the pathetically comical three man back line. Because Montella. Who is counting Scudetti? Milan have won the most Trofeo Berlusconi titles. With a sold out San Siro, anything could happen. There could be a last minute penalty given, a goal not given that should have been, or Juve’s Ultras could speak out in support of a bunch of Lazio supporters’ anti-Semitic actions (for which those Lazio supporters have now been given 5+ year bans for.) But even more likely is that Milan will lose a game in which we are currently outmatched in depth, experience, and delusional coaching. It will hurt, but won’t be unexpected. Same with Montella’s tactics. It’s almost too much. Please make it stop.